At the CLARIN 2017 conference in Budapest, Paul Meurer was awarded the Steven Krauwer Award for CLARIN Achievements. 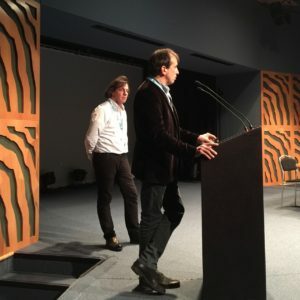 The award was presented to Paul by Jan Odijk on behalf of the CLARIN National Coordinators’ Forum. 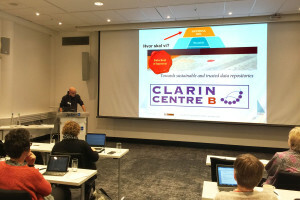 Paul’s research and development at Uni Computing Research for CLARINO was evaluated as impressive and of high value to the CLARIN community. Read more about this award at the CLARIN website. 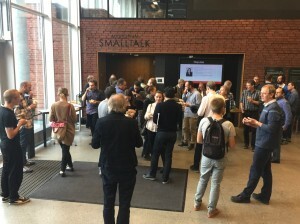 Tekstlaboratoriet ved Universitetet i Oslo er registrert som et CLARIN type C-senter. Se også CLARINs liste over sertifiserte sentere. UHR-B avholdt et introduksjonsseminar om forskningsdata ved Oslo lufthavn Gardermoen 14.–15. november 2016. Koenraad De Smedt presenterte CLARINO. Trolling, representert av Philipp Conzett, annonserte intensjonen om å bli sertifisert som et CLARIN type B senter. The CLARIN Annual Conference 2016 was held in Aix-en-Provence and drew a record number of participants. The photo shows two French delegates. The Nordic CLARIN Network is organizing a workshop in Bergen on November 9, 2016. A special theme at this workshop is language data and analysis for the Social and Political Sciences. 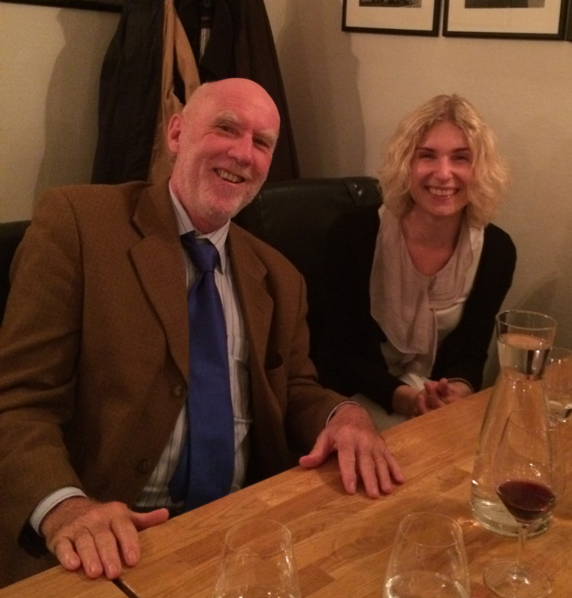 On September 23, the LAP (Language Analysis Portal) was publicly launched at IFI, University of Oslo.